This gorgeous salad has so many bright and wonderful flavours, like spinach, feta cheese, pecans and red onions, you'll want to enjoy it all year long. 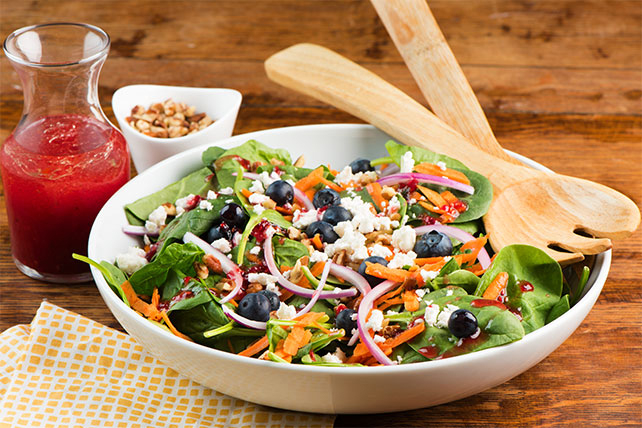 Drizzle dressing over salad just before serving; mix lightly. Substitute spring salad mix for the baby spinach.